Here’s another reason to get your shingles vaccination: Patients' risk of stroke is significantly increased following the first signs of the telltale rash. However, antiviral drugs appear to offer some protection, according to a study published online in April 2014 in Clinical Infectious Diseases. As you probably already know the painful rash that is typical of shingles is caused by the same virus, herpes zoster, that gave you your childhood bout of chicken pox. The virus stays with you for a lifetime and is sometimes reactivated as shingles. The risk of shingles-associated stroke is higher in the first six months after symptoms appear and is particularly increased if the rash is near your eyes. 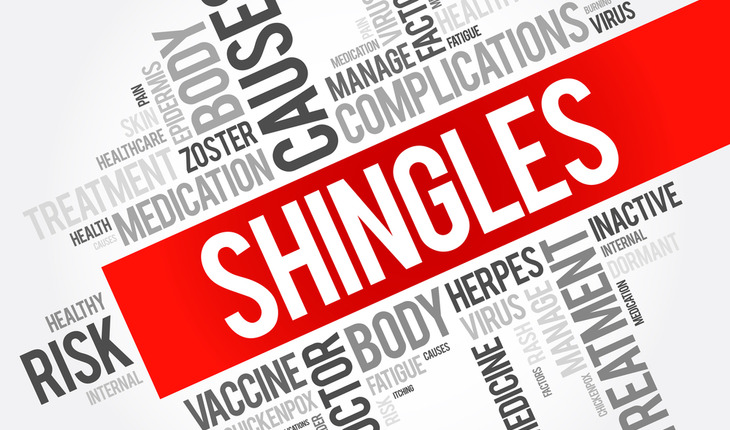 A release from the infectious diseases society of America notes that shingles affects an estimated 1 million adults in the U.S. and nearly 90,000 in the U.K. each year. Sinéad Langan, MD, PhD and colleagues at the London School of Hygiene & Tropical Medicine identified patients with first-ever incidents of shingles and stroke, and also examined antiviral treatment records for shingles, drawing from a database of information from patients across 600 general practices in the UK. The researchers compared the risk of stroke in the time period after the patient had shingles to time periods when the patient did not have recent shingles. Among the 6,584 patients included in the study, the stroke rate was 63 percent higher in the first four weeks after a shingles episode compared to the patient's baseline risk, diminishing slowly up to 6 months later. The stroke risk increased up to three-fold for a short period of time among those with a shingles rash affecting the skin around their eyes, compared to baseline risk. In patients treated with oral antiviral medication for their shingles—55 percent of study participants—the risk of stroke was lower than in those not treated with antivirals. "The relatively low prescribing rates of antiviral therapy in U.K. general practice after developing shingles need to be improved," Dr. Langan said, "as our study suggests that stroke risks following shingles are lower in those treated with oral antiviral therapy compared to individuals not treated with antiviral therapy." In a related editorial, Maria A. Nagel, MD, and Donald H. Gilden, MD, of the University of Colorado School of Medicine, noted that the findings confirm previous studies of shingles and stroke risk from Taiwan, Denmark, and the UK. This latest study is "the first to show that the increased risk of stroke after zoster can be reduced with antiviral treatment," they wrote.